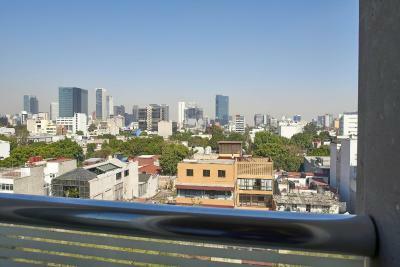 Lock in a great price for Four Points by Sheraton Mexico City Colonia Roma – rated 8.5 by recent guests! Excellent beds, I slept like a baby. Friendly and helpful staff. Good location for our needs. Fresh flavored waters (aguas) always just a step outside our room. Great location; very helpful staff. Quiet. Seventh floor bar has terrific view; it needs some updating. Super cool. Lots of art and awesome design. Bathroom was uncomfortable. great neighborhood, very safe, lots of bars and restaurants around. Center is easily accessible by bus or uber/taxi. The beds were good. The amenities were fine. The location was good for finding eating places at walking distance. The 24 restaurant and the help with dietary issues. Good location for us as our son lives nearby but also it is a pleasant part of Mexico City with nice bars and restaurants. Four Points by Sheraton Mexico City Colonia Roma This rating is a reflection of how the property compares to the industry standard when it comes to price, facilities and services available. It's based on a self-evaluation by the property. Use this rating to help choose your stay! Located in Mexico City's Colonia Roma, only a short walk from the WTC, this hotel features comfortable accommodations along with on-site dining and modern amenities. 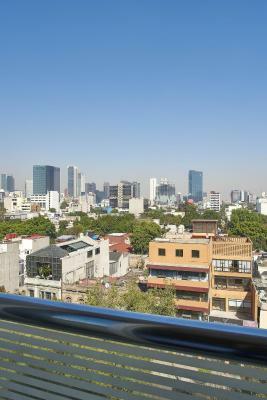 The Four Points by Sheraton Mexico City Colonia Roma features an exercise center. 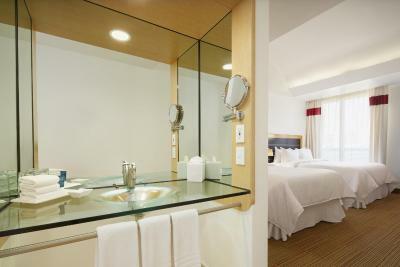 Guests can also enjoy free wireless internet access and in-room coffee-makers. 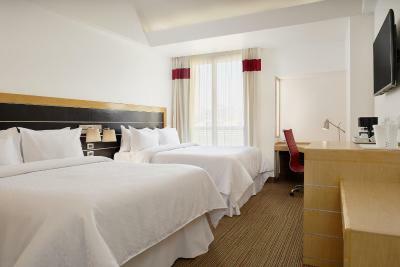 When would you like to stay at Four Points by Sheraton Mexico City Colonia Roma? House Rules Four Points by Sheraton Mexico City Colonia Roma takes special requests – add in the next step! Four Points by Sheraton Mexico City Colonia Roma accepts these cards and reserves the right to temporarily hold an amount prior to arrival. There was no-one around to help book a taxi when we checked out. One problem,checking in .Card details for payment was declined after contacting bank ,terminal was at fault but payment was still took off my bank even though we used a back up card. They never had cold ham to make a piece one morning at breakfast, on the same day no orange juice! If that’s all I complain about then it’s no bad, eh! No complaints here, was hassle free and in a nice bohemian area, with loads of craft ale bars and decent eateries! Uber is your friend for getting around town cheaply. I love coffee and would have liked to have liquid creamers. Dry creamers, like the hotel offered, are a low quality alternative. The breakfast is very bad, the hotel is extremely noisy, the staff is mediocre and unhelpful. Location is wonderful. The hotel is clean and the facilities are pretty good--the gym is really nice and has a great view on the city. Shower floor had no anti-slip; had to hold on to the bar to keep from falling, very slippery. Carpet in room looked clean but my feet turned black walking barefoot from bed to bathroom. Turn off. stay at the 1st flr, same floor as the meeting room. The smell/light is not very fresh/open, not sure from old carpet or closed space. The air heater is not very good. Need long time to warm the room. Good experience to be there, staff is helpful. The location is amazing and the staff was friendly! The hotel has a starbucks inside. Great area, with lots of restaurants options.